My Kinder Cardigan is now available as a PDF pattern, get yours here!! or full length, which is just below knee length and looks great with more fitted styles such as skinny jeans. There is also a choice of short or long sleeves finished with a cuff and for the mid and full length versions you can add roomy patch pockets. Once you’ve tackled some basic versions, have a go at mixing and matching fabrics with some color-blocked panel details. I’m so happy to now have the Kinder available as a standalone pattern, it means those of you that don’t enjoy tracing patterns from books, don’t need the whole book, or those of you that are simply just impatient (!) can all start making your own Kinders right now. You can find the pattern here. Happy sewing. 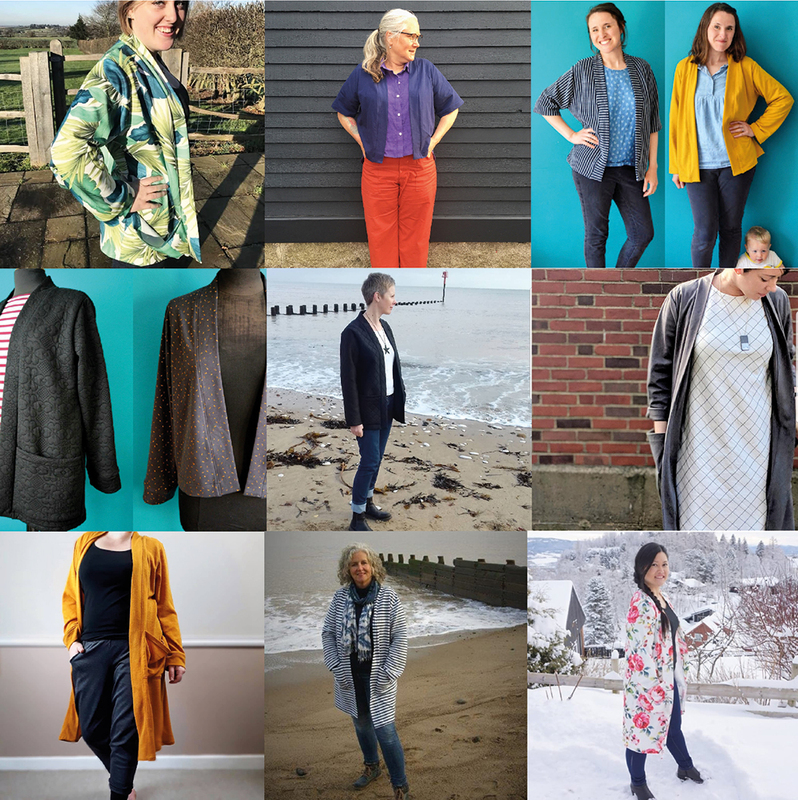 This entry was posted in Beginner's Guide to Sewing With Knitted Fabrics, Kinder Cardigan Pattern, Sewing Patterns by Wendy and tagged Beginner's Guide to Sewing With Knitted Fabrics, cardigan pattern, Kinder Cardi, kinder cardigan, kinder pdf, pdf sewing patterns, Sewing With Knits. Bookmark the permalink.